At Harvest Bible College, we believe in following the call. Ours has always been to train effective ministry worldwide for local churches. From humble beginnings, we have built an educational program to equip and empower our students to live out God’s call to ministry in their lives. 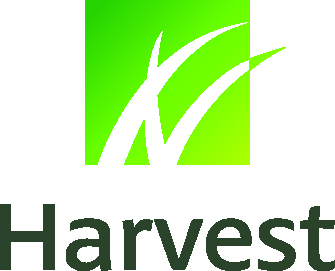 Harvest is dedicated to a Holy Spirit empowered life and ministry and supports active engagement in the local church. We have a diverse student body coming from Pentecostal, Evangelical, Anglican, ACC, Baptist, C3, Church of Christ, Presbyterian & Uniting Church, as well as multi-ethnic, culturally specific and independent churches. We’re experts in excellent theological and ministry education, training students from 44 countries and 200 churches online and onsite in Australia, Denmark and UK. The Certificate IV in Ministry and Christian Formation provides biblical and theological knowledge together with day-to-day practical ministry skills to develop people in their faith and equips them to serve God well, wherever He may lead. This online course can be taken by an individual student or a group of students doing it together and run by a local church or Christian Organisation. The Diploma of Ministry and Theology has been carefully crafted to help you know God, people, yourself and your context. It intentionally balances sound theological teaching with day-to-day application in every discipline explored. It is offered in three streams to equip you to follow the call of God wherever it may lead. The general diploma includes ministry best practices, social dynamics and self-awareness, biblical studies, theology and will develop numerous skills needed for multiple ministry expressions. The Social Justice stream builds on the general diploma and seeks to practically explore God’s heart for justice through the addition of units that focus on Social and Environmental Justice, Poverty, Aid and Development, and NGO Practice. The Church Ministry Stream builds on the foundation of the general diploma and specializes in areas of Leadership, Organisational Management; and Pastoral Care. Build a strong biblical and theological foundation, an increased capacity to communicate your Christian faith and multiply your leadership skills and ministry effectiveness. Develop your ability to apply the Word of God in ministry situations. This degree will help you enter into ministry and become a senior leader in your church. The Bachelor of Arts (Ministry) allows you to specialise when you reach the second and third years of your studies. You may select either Pastoral Leadership, Intercultural studies or ministry studies. These are professional development opportunities for ministers and professionals with a number of years of industry or ministry experience. Build on your existing degree and expand your biblically-informed and ministry-focused theological leadership base with one of our graduate courses. These courses will also provide entry to further postgraduate studies. 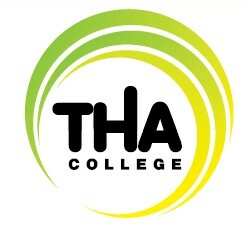 The Health Arts College is a Registered Training Organisation. Students graduate in the courses presented by our instructors and they may also become membersof their respective professional associations: Australian Association of Massage Therapists, the Australian Aromatic Medicine Association Inc and peak Kinesiology Associations in Australia. 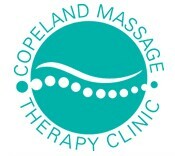 Our Certificate IV in Massage Therapy Practice, Diploma of Remedial Massage, Advanced Diploma of Remedial Massage (Myotherapy), Certificate IV in Kinesiology, Diploma of Kinesiology, Certificate IV in Aromatherapy and Diploma of Aromatherapy, Advanced Diploma of Aromatic Medicine, Diploma of Reflexology, Certificate IV in Beauty Therapy, Diploma of Beauty Therapy and Bachelor of Health Science (Complementary Medicine) are Nationally Recognised Training and approved by Centrelink for Youth Allowance, Austudy Payment, ABSTUDY and Pensioner Education Supplement. Haley College provides access, equity, equal opportunity and personalized service in all business, training and service activities provided. Haley College accepts accountability and responsibility for all contracts, training and services undertaken to deliver. Quality and best practice underpins all Haley College actions, in regard to staff, students and other relevant stakeholders. Continuous quality improvement of all training activities will be undertaken to promote quality training and compliance with minimum performance standards, Essential Standards for Registration and Conditions of Registration. 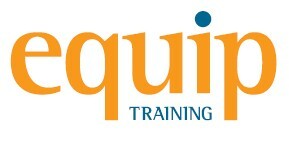 EQUIP Training exists to offer language development training for intercultural workers. EQUIP Training is affiliated with SIL International, a language development organisation that specialises in working with languages spoken by the world's lesser known people groups living in over 50 countries. Many of our graduates are involved in language development work with government and non-government organisations, in literacy, translation and in educational and linguistic research projects around the world. The Australian College of Hair Design and Beauty is Melbourne’s premier provider of hairdressing and beauty/spa training. Situated amongst a multitude of cosmopolitan cafes and chic boutiques on Flinders Lane, in the heart of Melbourne’s fashion precinct, stands The Australian College of Hair Design and Beauty. Northern Beaches Community College is a Registered Training Organisation (RTO) national code 90113. We are registered with VETAB to deliver training and issue qualifications that appear on our scope under The Australian Quality Training Framework. The College focuses its training on qualifications in Information Technology, Business Services, Workplace Training, and Frontline Management. SEDA is a national education provider who engages, educates and empowers young people in their education by connecting their passion with a hands-on learning environment. Students complete their senior secondary qualification and gain nationally recognised Vocational Education and Training (VET) qualifications. SEDA partners with organisations including; AFL VIC, Cricket Australia, Basketball Victoria, Netball Victoria, Melbourne Heart, Song Room, Melbourne Victory, Arena Theatre Company, Tennis Victoria and Life Saving Victoria. This gives students the opportunity to be involved in participation programs, major events, practical placements, productions, performances and other industry experiences. Students can directly articulate into courses at higher education institutions upon completion of their studies and are also equipped with skills to prepare them for the workforce. TAFE NSW - Sydney Institute is one of the largest and most innovative education and training providers in Australia. Each year, we help more than 70,000 students achieve their education, learning and work skills goals through 800 rewarding and exciting nationally recognised courses and training programs offered across seven Sydney institute TAFE colleges, in the workplace, online and via distance learning. We also design and conduct tailored training programs for Australian businesses, industry associations and government to increase their productivity and upgrade their staff skills. Sydney Institute is proud to be an integral part of our local communitues. Many of our colleges specialise in study areas aligned with the work skills needs of local industries. We are the vocational and tertiary education hub of south-eastern Victoria, with two main campuses, plus specialist centres. Our vast region is renowned for the beautiful and extensive Gippsland Lakes, pristine beaches, rainforests and the alpine high country. We have a mild climate, vibrant towns and prosperous and innovative businesses. We offer terrific lifestyle options, with strong sporting, arts and cultural communities. Our nationally renowned specialist education centres offer the kinds of facilities that other education providers dream about. Forestec is our specialist environmental, forestry and furniture design centre and is located in the incredible Gippsland bush, in one of the most diverse temperate forest ecosystems in the world. Seamec on the waterfront at Lakes Entrance boasts a deep-water berth and well-equipped laboratories, making it a hub for marine and maritime industry training that draws participants from all over Australia. Farmtec Education Centre is a working farm on the outskirts of Sale offering horticulture, agriculture and equine studies, including popular courses in organics. Farmtec also allows students to learn how to operate the latest automated irrigation systems. Our main campuses at Bairnsdale and Sale have a wide range of higher education and vocational facilities, including commercial kitchens, trades centres and university programs, which combine on-campus classes with the latest in online and video-conferencing technology. 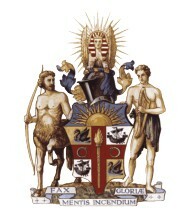 The Royal Australasian College of Surgeons provides education and training throughout Australia and New Zealand in nine surgical specialties: Cardiothoracic Surgery; General Surgery; Neurosurgery; Orthopaedic Surgery; Otolaryngology Head and Neck Surgery; Paediatric Surgery; Plastic and Reconstructive Surgery; Urology; and Vascular Surgery. The Surgical Education and Training (SET) program promotes high quality, efficient surgical education and training through early selection into streamlined speciality training -- surgical trainees are selected directly into the specialty in which they will undertake specialist surgical education and training. To provide access to lifelong, flexible, high quality learning pathways for individuals, industry and communities through education and training. At Kimberley Training Institute we provide our programs and services from a foundation of shared values. The South West Institute of Technology comprises a network of campuses across the South West offering modern, purpose built facilities and student amenities at its main campus in Bunbury, and provides training programmes through its regional centres in Busselton, Collie, Harvey, Margaret River and Manjimup. The region covers an area of 23 970 square kilometers and has the most diverse regional economy based on mineral wealth, a strong agricultural, horticulture, aquaculture industries, timber and forest products, viticulture, tourism, retail, manufacturing, construction and service industries. Through our regional network we are able to make training easily accessible to prospective students providing expertise and resources to skill the labour market for employment in the South West and beyond. CY O’Connor Institute is recognised as an innovative provider of education and training services that contribute to regional and state workforce development. Our mission is to provide quality education and training services to enable our students in the Wheatbelt and beyond to achieve their potential. The Gordon is Victoria’s largest regional stand-alone TAFE and will celebrate its 125 year in 2012. The Gordon provides progressive and innovative training in Geelong, around Australia and overseas. As the Victorian Large Training Provider of the Year 2010, we pride ourselves on delivering quality vocational education and training with varied areas of expertise, excellent facilities across a range of industry sectors and staff with high levels of competency. The Gordon currently offers more than 400 accredited courses and short courses across a wide range of disciplines including apprenticeships, school-based apprenticeships, VET in schools, traineeships, certificates, diplomas and advanced diplomas. Over 19,000 students study with The Gordon each year via flexible options including on-campus, off-campus, full and part-time, online, and in the workplace. We also create customised training programs to meet the specific needs of employers in a variety of industries. The National Theatre Drama School is Victoria’s longest-established actor-training institution. Based in its own purpose-built facilities in St Kilda, the School offers a nationally-accredited professional training course, the Advanced Diploma of Acting, a part-time professional preparation program, the Certificate III in Theatre and Screen Performance as well as a range of recreational programs for both adults and children. Supported by generous benefactors such as the Angior, Cybec and Tallis Foundations, the School maintains strong links with the Entertainment Industry as well as playing a significant role in many of the local and neighbouring communities. LINK Employment & Training is an incorporated "not for profit" organisation committed to providing quality employment services and vocational training to a broad range of clients and businesses in general. Established in 1984 as Dandenong Western Port Group Training Scheme Incorporated (DWPGTSI), the company changed its name to LINK Employment and Training in 1996, and in 2002 merged with WorkCo, a regional employment and training organisation. LINK Employment & Training aims to develop and deliver employment and training services that exceed our clients' expectations for quality and delivery. We aim to ensure that both job seekers and businesses are provided with quality employment and training opportunities for the ultimate benefit of businesses and the community as a whole.